Injured victims should understand the importance of choosing the right malpractice lawyer for their case. Here are three things all potential clients should know when pursuing a medical malpractice claim. 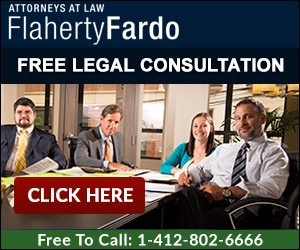 Do not rely simply on advertising in choosing a malpractice lawyer. If you, or someone you love, has been seriously injured in a medical malpractice case, then the odds are you will need substantial financial consideration in order to make life more bearable. You will have only one opportunity. If your case is unsuccessful, or you are awarded limited sums, you will never have the opportunity to demand more, even if your physical condition declines. Therefore, it is essential that injured victims research potential medical malpractice attorneys thoroughly. This research should include asking family and friends about any prior cases which they may have had. Ask your family and friends about the outcome, diligence and timeliness of the lawyers efforts. Your research should include extensive online searches, including the PA Disciplinary Committee and Lawyer rating Sites (such as AVVO.com). You should read prior client testimonials and peer reviews if available. You should research and find any articles or books which your lawyer has authored. And finally, your research should include interviewing several qualified lawyers. Most injured clients do not interview several lawyers. Visiting a lawyer’s office can be inconvenient especially when you are injured. However, interviewing is crucial in choosing the best medical malpractice attorney, and almost all attorneys will visit you either in your home or in a hospital. Some attorneys are great salesman, but as a potential client, you should use your leverage to your benefit. Do not be intimidated. Have you handled this specific type of case before? Clients should interview lawyers the same way in which all important decisions should be made. If you were hiring a new employee, buying a new car, having heart surgery, odds are you would research and conduct interviews to make sure that your decision was the best. The same is true in choosing a malpractice attorney. Does your lawyer handle only personal injury cases as opposed to medical malpractice cases? There is a big difference. These are important questions. However, the most important question you will want to ask your lawyer is: Will he/she have the time to handle your case appropriately? Medical Malpractice cases take an extraordinary amount of time and research to handle. Typically, there are voluminous medical records, depositions, discovery, and expert reports. Some lawyers are known for waiting to the last minute before filing pleadings. I have even heard of attorneys waiting 18-20 months after they have signed up a new case to file the original lawsuit. Lawyers are known for aggressive marketing in an effort to sign up the new clients, but it means nothing if your lawyer does not have the time to handle your case with the attention it deserves. Ask prospective lawyers how many other pending medical malpractice cases they currently have? If they answer more than 50, ask them who else will be working on your file? Ask your lawyer if he/she will be the actual attorney handling the file? Ask your attorney where your case will rank among the files which they have? In your case, you need your medical malpractice attorney to be as aggressive as possible for you. In conclusion, choosing the best Medical Malpractice lawyer is not easy. It requires work on the part of the potential client. However, if you believe you have a meritorious malpractice case, you should thoroughly research attorneys; interview the top few you find; and then make sure that the lawyer you choose has the experience and time to handle your case effectively.